Karen and Tom Krupp are happy–they’ve got a lovely home in upstate New York, they’re practically newlyweds, and they have no kids to interrupt their comfortable life together. But one day, Tom returns home to find Karen has vanished–her car’s gone and it seems she left in a rush. She even left her purse–complete with phone and i.d.–behind. There’s a knock on the door–the police are there to take Tom to the hospital where his wife has been admitted. She had a car accident, and lost control as she sped through the worst part of town. The accident has left Karen with a concussion and a few scrapes. Still, she’s mostly okay–except that she can’t remember what she was doing or where she was when she crashed. The cops think her memory loss is highly convenient, and they suspect she was up to no good. A suburban wife suffers a bad concussion after her car hits a utility pole in the sketchiest part of town. She has no memory of what happened, of why she left her home in the midst of cooking dinner, leaving the door unlocked, her cell phone and bag left behind. 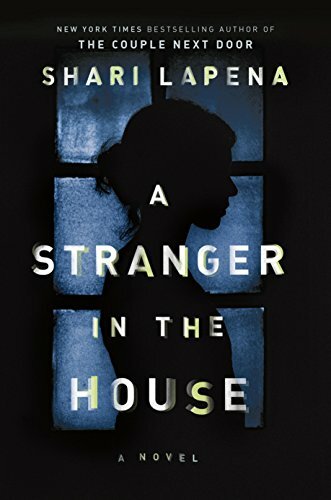 Shari Lapena’s domestic thriller is a doozy—a cautionary tale that even in suburbia, we often can’t fathom the secrets that lie beneath. Tom and Karen Krupp live a happy life in a great neighborhood in upstate New York, one might even say they had a perfect marriage. So when Tom comes home one night, dinner unfinished on the stove, Karen gone with the door unlocked, he panics. And then he hears the news—Karen has been in a car accident, she’s crashed her car in a seedy part of town, far from their home. It seems nothing like Karen. But she has no recollection of the night that is quickly upturning their lives. Worse yet, the police don’t buy her memory loss. So they dig deeper and the case continues to take turns unforeseen. We also learn Karen has been on edge—someone has been in their home. Moving things around. Lying on their bed. She’s sure of it. Across the street, their neighbor Brigid, sits by her window, day in and day out, watching everything, meddling into the circus that is now Tom and Karen’s life. Meanwhile Tom is unraveling, doubt pervading every second of his two-year marriage. Does he really know his wife? Things really escalate however, when a murder is uncovered nearby where Karen crashed and everyone is thinking the same thing—could the two cases be connected? Could Karen’s reckless driving be the result of her fleeing the scene? One thing becomes clear: Karen, Tom, Brigid—they’re all hiding something. Hot off last year’s bestseller, THE COUPLE NEXT DOOR, Lapena weaves another twisty, divertive narrative with A STRANGER IN THE HOUSE. Similar in approach to the former, the latter unearths surprising secrets gradually, casting suspicion on everyone involved. And just when you think you know what happened, Lapena throws a final curve ball. While character development is handled with broad strokes, this twisty thriller will be a hit for fans of Ruth Ware and Clare Mackintosh.